This December I will be participating in Dressember, along with my fellow bloggers overseas (waves at the UK) and others around the world. Usually around this time, I default to sweats and the 2-3 pairs of jeans I cycle through weekly (I'm actually wearing sweats right now...). Well, I'm going to break that habit with Dressember! I don't have as many dresses as I have shoes but I'm pretty sure I can come up with 31 outfits. However, I may not be able to post (or participate) everyday, especially during finals week, so I'll just do a combined post when my academic life catches up to me. I'm also going to throw in another stipulation for me: I pledge NOT to buy any new dresses this December, instead I will shop my closet. 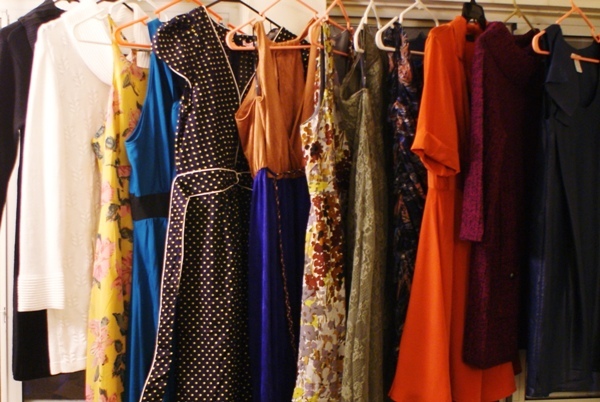 It'll be a great way to rediscover my clothes and try to winterize my summer and spring dresses. Will you participate? You don't need a blog to do so, you can upload directly to the FB page (it can just be a pic of your laid-out clothes if you're self conscious). Or simply participate by checking out all the wonderful dress ensembles. Skirts also count! It's like a 2-piece dress.